It was "Go Time" and "Bo Time" for Denny Hamlin on Friday night at Charlotte Motor Speedway. 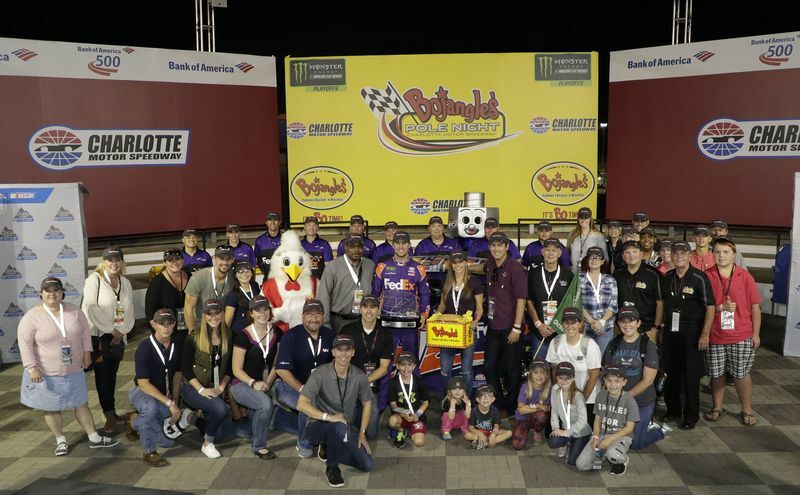 Hamlin's Joe Gibbs Racing Toyota rocketed around Charlotte's 1.5-mile superspeedway with a pole-winning 191.598 mph lap during the final round of an exhilarating Bojangles' Pole Night. Hamlin's first pole of the season, second at Charlotte and 25th of his Monster Energy NASCAR Cup Series career came courtesy of a blistering, 28.184-second run which edged Joe Gibbs Racing teammate Matt Kenseth by only .016 seconds. Defending Bank of America 500 pole winner Kevin Harvick qualified third with Kyle Busch - in another JGR Toyota - fourth and Clint Bowyer fifth. A dramatic first round of qualifying saw several cars, including Jimmie Johnson, Dale Earnhardt Jr. and Busch pass technical inspection in the waning minutes and get on track just in time to post a lap. Johnson, who won last year's Bank of America 500 on his way to a record-tying seventh series championship, failed to advance out of Round 1 and will start Sunday's Bank of America 500 in 25th. Earnhardt - in his final Charlotte start as a full-time driver - advanced into Round 2, but concluded the second round in 23rd position. POLE WINNER DENNY HAMLIN (No. 11 FedEx Office Toyota Camry): "The day started off really well. We were P1 in lap time throughout the first practice. We ran about the same lap down in qualifying. The good part about it was it seemed like our cars got a tiny bit faster when a lot of guys started backing up. That was the key for us to get the pole. I thought turns one and two were where I was the best. On the final run I thought I had slipped up a bit in three and four. I was pretty pleased with the lap time. We could still get better and hopefully in tomorrow's practice we can get our car dialed in." RUNNER-UP MATT KENSETH (No. 20 Tide Pods Toyota Camry): "We got a little too aggressive and had to roll out there. Practice has been very challenging for us today. Our qualifying run was good. We saved our best lap for last. I was pretty conservative most of the time. In the second round, we made some adjustments and in the third round we got a good lap. I was a little too aggressive coming to the green and it probably cost us the pole. Overall, it was a good day for us." Fans can buy tickets to Sunday's Bank of America 500 by calling 1-800-455-FANS (3267), or visiting http://www.charlottemotorspeedway.com/tickets/. 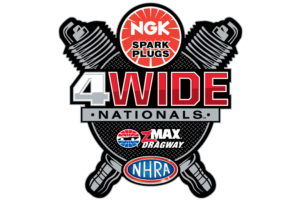 Tickets are also available at the speedway ticket office. Children 13 and under get in FREE to Saturday's Drive for the Cure 300 presented by Blue Cross and Blue Shield of North Carolina. Kids' tickets start at only $10 for the Bank of America 500.